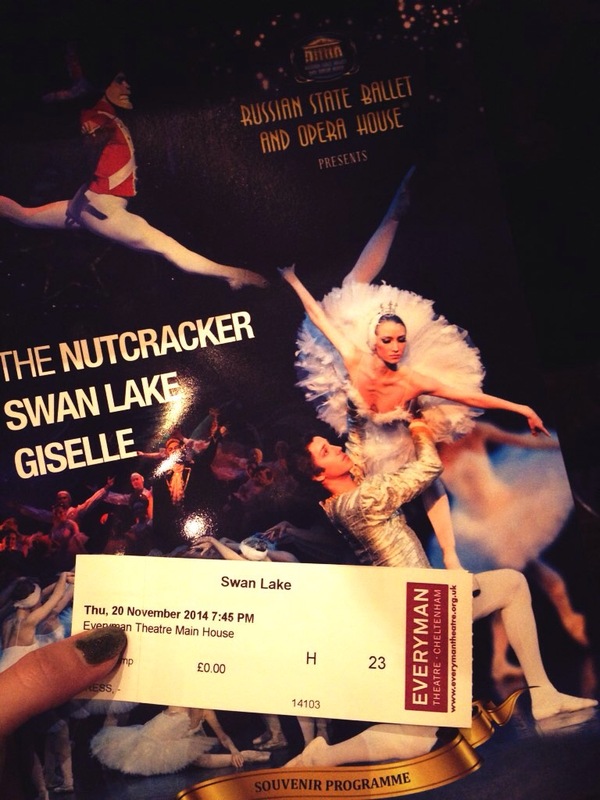 Christmas wouldn’t be Christmas without some ballet included, whether it is on the television or in the Theatre, the best place to watch was our very own Everyman Theatre. Presented by The Russian State Ballet and Opera House, myself and my best friend were invited to watch this impressive cast perform Swan Lake. Along with a live Orchestra this ballet was elegantly flawless. The story of Swan Lake tells a tale of Odette a princess turned into a swan by an evil sorcerer. In Act 1 we met the Prince who is celebrating his birthday with friends and peasants, this is interrupted by the Queen. She wants her son married and he must be chose the bride at a ball the following evening. Upset he cannot marry for love he travels into the forest to hunt. Act 2 at the lake the prince is surrounded by swans and he notices a beautiful swan transform in a maiden Odette. She tells the tale of her curse to the prince and then Von Rothbart the evil sorcerer appears. The prince wants to kill him, but he cannot as in doing so the spell will never been undone. Odette and the prince fall in love but as dawn arrives the spell draws Odette into a swan again. Act 3 is the Princes Ball where six princesses are presented to the prince, however Rothbart arrives in a disguise with his enchantress daughter Odile. She is identical to Odette and the prince is drawn into their evil plan. Only having eyes for Odile, the prince notices Odette and realises his mistake and grief-stricken he rushes to the lake. Back at the lake, act 4 begins the final part of our story. Odette is distraught at the prince’s betrayal, the other swans comfort her. As the prince arrives at the lake he makes a heartfelt and passionate apology to Odette. She forgives him and they reaffirm their love. Rothbart then appears and demands he marries Odile, but the prince refuses and sacrifices himself. This breaks Von Rothbarts spell with all his powers being lost and he dies. The swan’s then watch the Prince and Odette ascend to heaven together forever united in love. This is a sad tale but told beautiful through Ballet. Next Christmas you must see the Everyman’s offerings of ballet to get you into a traditional Christmas mood. How about the Nutcracker?